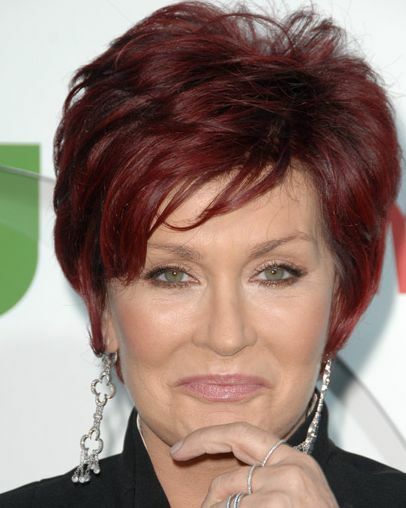 Sharon Osbourne’s straight hair is cut in a short, classic hairstyle. Red hair colo..
Sharon Osbourne’s straight hair is cut in a short, classic hairstyle. Red hair color adds flair to this mature look.